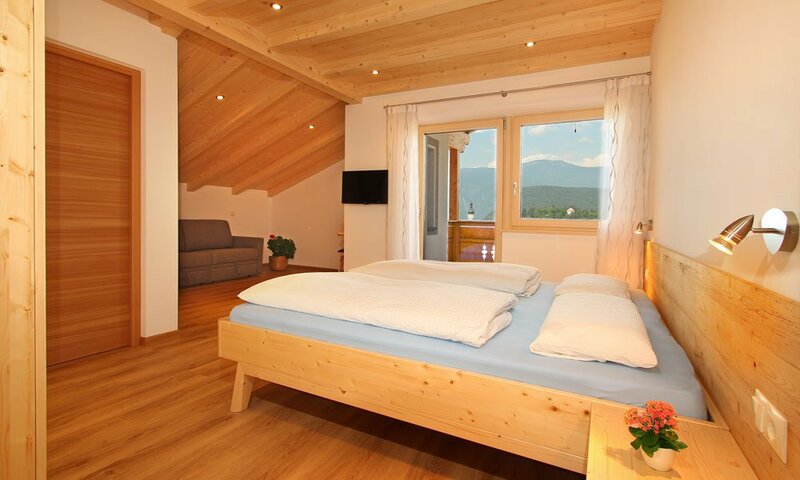 If you are looking for a bed and breakfast in Castelrotto, you have come to the right place at the farm Goldrainerhof. 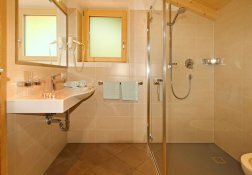 In our newly built guesthouse, we offer two holiday apartments as well as guest rooms with private bathroom, TV and balcony. 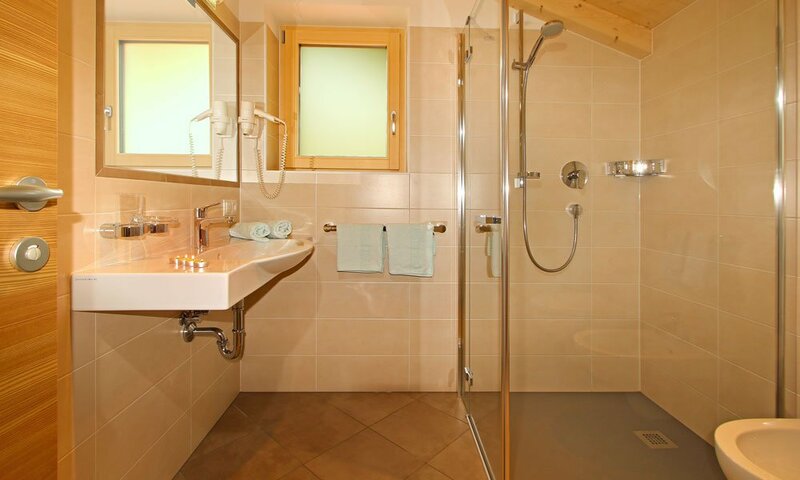 The bathrooms are modern with a spacious shower, bidet, toilet and sink. 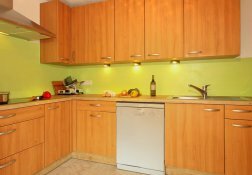 In the breakfast room in the winter garden, you will find a kitchenette and a fridge, thus, you can prepare your own meals even if you booked only a room. Otherwise, in five minutes by foot you may reach Castelrotto and dine there in one of the traditional South Tyrolean inns. We are happy to provide you with fresh bread rolls and products from our farm for breakfast. Otherwise, you may join us for breakfast at our rich buffet and enjoy yogurt, milk, and jam from our own production, as well as homemade fruit juices. Spend a relaxing holiday with us at the farm Goldrainerhof and book your room with breakfast in Castelrotto right here. 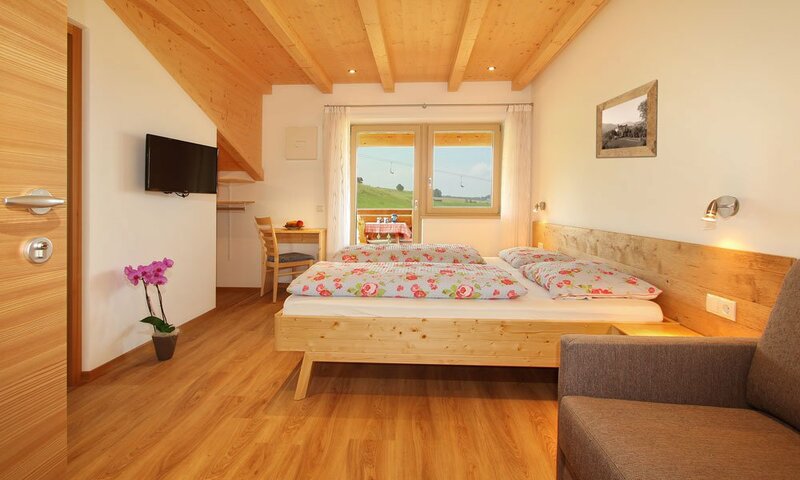 The guest rooms are located in our newly built house and offer a balcony, a TV and a bathroom. 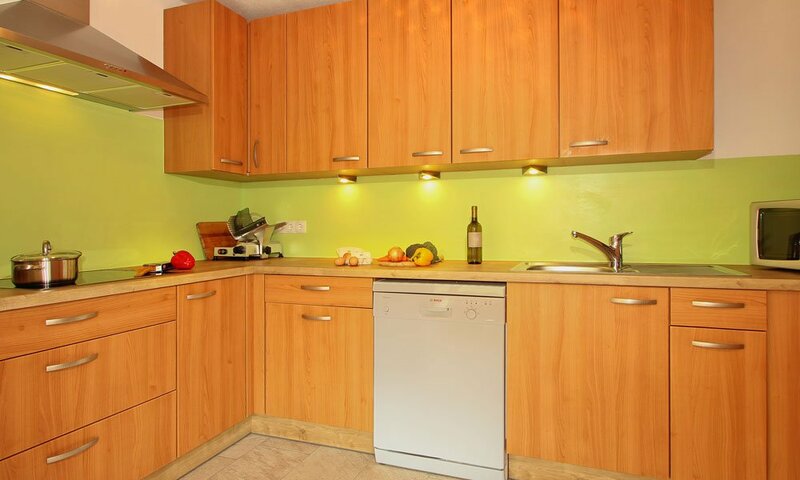 In the breakfast room (winter garden), there is a kitchen where our houseguests can also cook and eat. 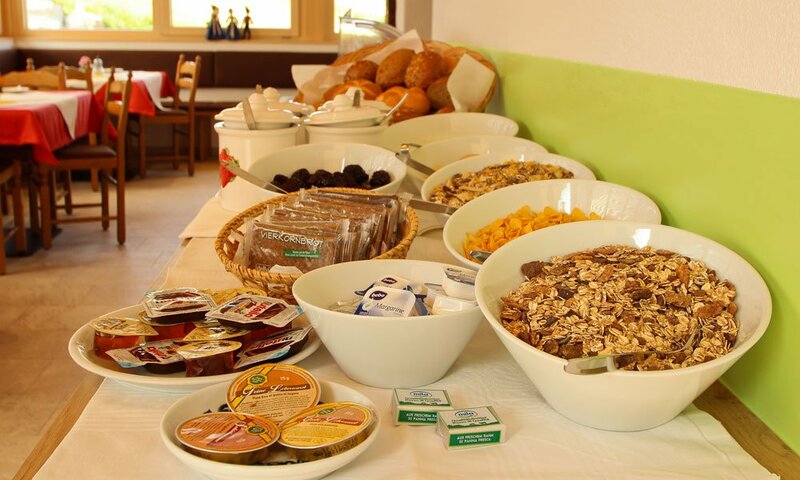 At the breakfast buffet, we serve cereal, compote, butter, margarine, honey, bread, cold cuts, homemade yogurt, homemade jams, fresh farm milk, and homemade juice.